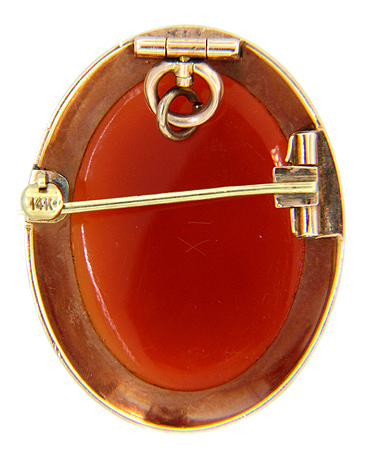 A simple, unadorned 14K yellow gold frame surrounds this antique stone cameo. 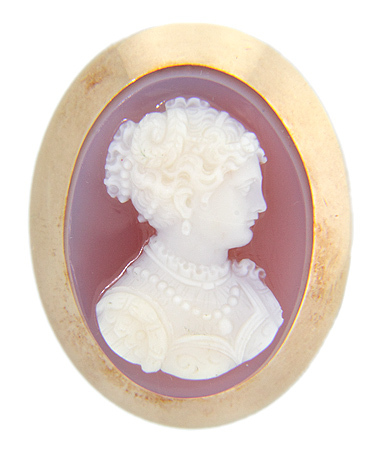 The oval cameo was crafted with exquisite care as can be seen in the detailed carving of the woman’s hair and dress. The Victorian cameo can be worn as either a pin or a pendant and measures 1 1/4” in height by 1” in width. Circa: 1880.